It's been a few weeks since I've written on the blog, but I finally had some time to take outfit photos and catch y'all up on where I've been. 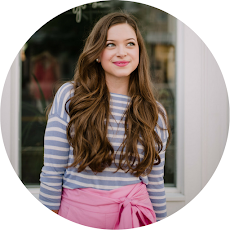 College is busy (and hard), I'm sure all my college blogger gals (and college students) can attest to that. 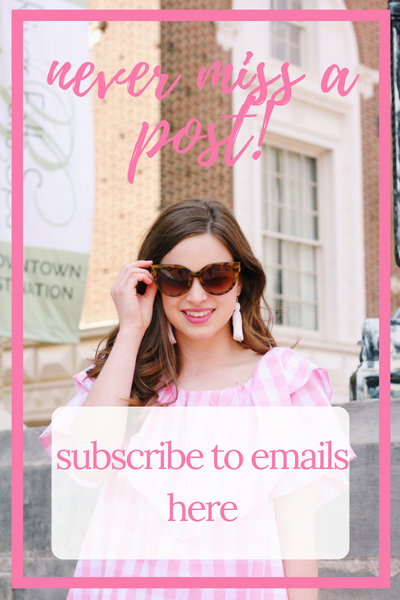 I haven't had a lot of time for stuff I love to do (such as blogging!) because my schedule is packed with extracurriculars (all of which I absolutely love!) and school work (some of which I could definitely would like to pass on doing). The last time I checked in with y'all was just after spring break. I thought I would fill you in on some stuff happening in my life since then. As of a couple weeks ago, I am an official Tri-Delta! The initiation process started right after spring break. I now attend chapter every Sunday, as well as participate in Tri-Delta related activities, such as our philanthropy event that I attended last night called Sincerely Yours and a Greek Groove competition that I have been rehearsing for (which is coming up very soon!). I have been enjoying getting to know my sorority family by going to my grandbig's apartment for our fam tradition- Pizzookie (skillet cookie- so yummy! ), growing my relationships with my sorority sisters, and more. I have formal coming up the weekend after Easter, as well as more service events and activities. April is definitely a busy time at Furman for Greek life, so I am excited to keep busy with that. For school, I recently declared my psychology major. I feel like I have accomplished a very "adult" task since I am basically telling the school what I intend to get my degree in and what kind of pathway I will be taking after I graduate. It sounds like a super serious process but it definitely is not- just a formality of college! This past weekend I took a mini trip to Athens, GA with my roommate and my friend Ashley. Her sister is a student at UGA, so we toured around the campus a bit, got to look at the sorority houses, and explored Athens. If you saw my Insta stories, you probably saw where I visited my favorite store- Red Dress Boutique (I was literally in heaven!). Athens is such a cool city and I hope to visit it many more times throughout college. The next few weeks will be busy with school, so my regular posting schedule will probably not be back to normal until the end of the year, but I'll be sure to get one post up a week for y'all! Please let me know what you'd like to see on here this spring. 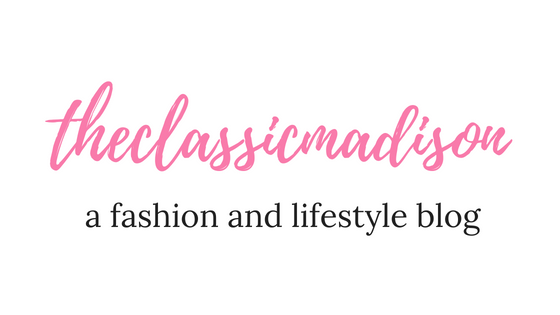 I'm thinking I want to start including more lifestyle posts (advice, experiences, etc) more so than fashion (fashion will still be a large part though!). I just realized that I get the most out of my blog when I am helping y'all out with high school or college. Now onto the outfit. I recently purchased this skirt from Francesca's, and it has quickly become a staple piece in my closet. It looks perfect with my Tri Delta jersey shirt and converse, as well as wedges and a flowy top. Y'all also know my love for these blush slip ons, which match perfectly with these statement sunglasses. I paired all the items with a simple navy gingham button up. Such a simple spring outfit perfect for Athens! I hope y'all enjoyed my little recap of the last few weeks of my life! Let me know how you are doing in the comments below, and please let me know if you have any post requests. I loved this mini life update. I'd love to see weekly or monthly recaps of what's been going on in your life. The people who learn their experience can earn the good fame and ability to get the good money but this https://www.aussiewritingreviews.com/myassignmentservice-review/ website offer me unique stuff. I always appreciate the people who try to learn the good things. This is the interesting article and I learn lots of things which I never understand.